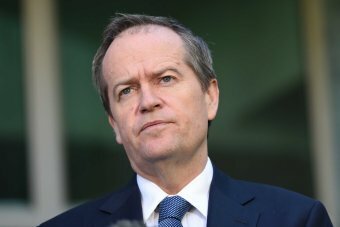 The Australian Taxpayers’ Alliance (ATA), a 50,000+ member non-partisan grassroots public advocacy group representing the interests of Aussie taxpayers, today condemned federal Opposition leader Bill Shorten’s proposed $59 billion over 10 years tax hike on pensioners, retirees and ordinary taxpayers. “It is not surprising that Shorten is now flagging payment supplements and other spending hikes after Treasury data revealed that over 610,000 Australians on the lowest incomes will be affected by his proposal. A Labor government would take an average of $1,200 more out of their pockets every year.” Noted Satyajeet Marar, Director of Policy at the ATA. “The majority of those impacted by Bill Shorten’s proposal will be those on the age pension, who make incomes less than $18,200 a year. Middle income earners will also be hurt, with people on salaries less than $87,000, over 97% of those impacted by the change, set to take a $22 billion hit. By contrast, a paltry 5000 people on incomes in excess of $180,000 a year will be affected. Aussies on low and middle incomes already pay more every year as they are forced into higher tax brackets because of inflation. They deserve more tax relief, not less. “In addition to low income individuals, up to 3.5 million super account holders could be worse off under Shorten’s tax grab. 550,000 of them are members of self-managed super funds who could lose up to $5,000 in income every year. Punishing Australians who make a responsible decision to save for their own retirement will only force more of us onto a taxpayer-funded pension and will further burden future generations who are forced to pay for it. This is irresponsible and unfair at a time when gross public debt is ballooning past $500 billion or over $40,000 per household. “Millions of Australians hold shares in companies through their super funds and this equity helps support jobs and investment across our economy. Shorten’s suggestion to divert investment to Australian property as rental income will not be affected by the change, is absurd given that a generation of retirees have based their investment decisions and financial planning on policy that has been in place for decades without any grandfathering or transition arrangements. It will also drive prices up in the midst of a housing affordability crisis that is forcing thousands of young entrants into the workforce every year to give up their dream of owning a home.